Welcome to our site which is dedicated to all things Bill Haley & His Comets. 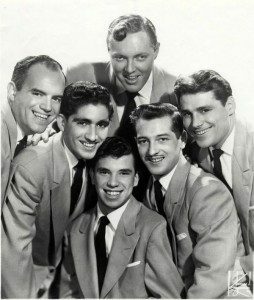 On these pages, you will find information about the band, a short discography, a little history and a range of other things that were popular at about the same time as Bill Haley & His Comets were thrilling us with their music. We have also tried to stress how important the band was not just in terms of music at that time, but also in term of popular culture and how they have changed the course of music as we know it. They just did not get the credit they deserved. They were legends of their time, we just didn’t realise it. They brought a fresh new appeal to music, opened up a world of possibilities, and allowed us to enjoy the world of Rock ‘n’ Roll before we knew what Rock n Roll even was. They paved the way for artists such as Chuck Berry, Jerry Lee Lewis and Elvis Presley right into our homes and our hearts. The line-up of Bill Haley & His Comets was changeable, and there have been many artists associated with the group at one time or another (some sources count more than 100), but regardless of that they always gave a stellar performance leading to standing ovations and mob scenes in the UK. Before Beatlemania, there was most definitely BillHaleyMania! With songs that epitomises the music scene of the 1950s, they are still played today as part of popular radio play, and not many 1950s hit-makers can boast of the same.